Against the backdrop of the Education World Forum, universities from the UK & Egypt signed 10 partnerships on collaborative work & research. 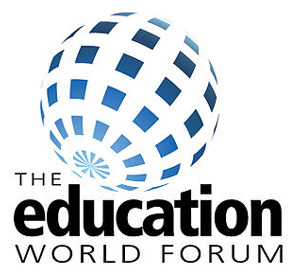 Against the backdrop of the Education World Forum, the world’s largest gathering of education and skills ministers, universities from the UK and Egypt signed 10 partnerships boosting collaborative work and research. A British Council organised senior delegation from the Egyptian education sector is currently in London attending the Forum, including: HE Prof Ashraf El Sheihy, Minister of Higher Education and Scientific Research; Prof Ashraf Hatem, Secretary-General of the Supreme Council of Universities; Prof Tarek Shawki, Chairman of the Presidential Advisory Council for Education and Scientific Research. The partnerships will link Cairo University with King’s College London, Sussex University and Aston University; Alexandria University with London South Bank University and University of Dundee; New Giza University with University College London; and the Arab Academy for Science, Transport, and Maritime Transport with Brunel University, Staffordshire University, Aston University and Cardiff Metropolitan University. Partnership with the UK is a key goal in order to ensure quality and internationalization of the new Egypt. This week we will be signing 10 partnerships with top UK institutions including UCL, King’s College, Brunel, Sussex, and others, which are part of the launch of the 2016 year between Egypt-UK for science, innovation and higher education. The partnerships were signed as Prof Hatem convened the first meeting of new UK Egypt Higher Education Governance Board. The Board is co-chaired by Prof Hatem and Ms Claire Durkin, Director of International Science and Innovation for the UK’s Department for Business, Innovation and Skills. The Board is responsible for implementing the Memorandum of Understanding that was signed during President Sisi’s visit to London in November 2015. The agreement marks a strong political commitment from both the UK and Egypt to sustaining a long-term strategic partnership in research, innovation and education. Under the agreement, the UK and Egypt will work together on higher education and assessments reform, leadership in higher education, specific areas of research such as health, medicine, and cultural heritage, as well as the provision of technical and vocational education to young people. The President of Egypt is leading the country towards a modern learning society. It is a golden era for education and innovation in Egypt. The close cooperation between UK and Egypt is a prime example of national vision promoting excellence and international cooperation. The agreement also established 2016 as the British-Egyptian Year of Research, Innovation and Education. There will be a formal launch event in Egypt in February 2016, with a programme of events throughout the year to be announced then. Education is an area where the UK and Egypt are perfect for each other. The UK is a global education leader – 4 of the top 10 universities in the world are British, we produce cutting-edge research and innovation, and we’re an open nation keen to build partnerships. In Egypt, there are thousands, if not millions, of bright young people who know that education is the key to their country’s future and their own. This partnership has the potential to transform both Egypt and the UK and to help our countries succeed for generations to come. The British-Egyptian Year of Research, Innovation, and Education builds on the two countries’ strong existing partnership and a wide range of UK efforts to support young Egyptians with education and skills. Since 2010, the British Council has helped 75,000 Egyptians learn English or gain internationally-renowned UK qualifications. Through the prestigious Chevening Awards programme, the UK has offered 170 postgraduate scholarships to Egyptians over the last five years; the number for the next five years is expected to reach over 300. The £20m Newton-Mosharafa science and innovation fund was launched in 2014 and is expected to provide funding for over 300 PhD scholarships, placement schemes, and post-doctorate fellowships. A British education, the British curriculum, and British educational standards are already attractive to many Egyptian students. For example, through independent links between British and Egyptian universities, 15,000 Egyptian students take UK-accredited degrees at universities such as Ain Shams University, the British University of Egypt, and the Arab Academy for Science and Technology in Alexandria.